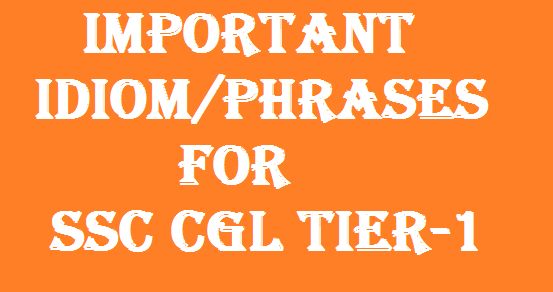 Idiom and Phrases is also an important topic for SSC CGL Tier-1 because at least 5 questions are asked from this section. Most of the time, they repeat questions which means you can get better marks by reading those question which were already asked. In this post, I am providing you the list of 15 important Idiom and Phrases which were already asked. We shouldn’t look down upon the wretched of the earth. By opposing his proposal , he fell foul of him. Those who work by fits and starts seldom show good result. The new manager thought that he would give employees enough rope for the first six months after which he would check the work done himself. He was all at sea when he began his new Job. The Sweeping Statement by the boss left the conscientious workers disgusted. The failure of crops in successive years put the farmers in a tight corner.